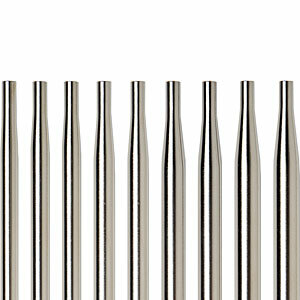 The Options Short Interchangeable Needle Set in nickel is designed with shorter needle tips that connect snag-free to a black cable. 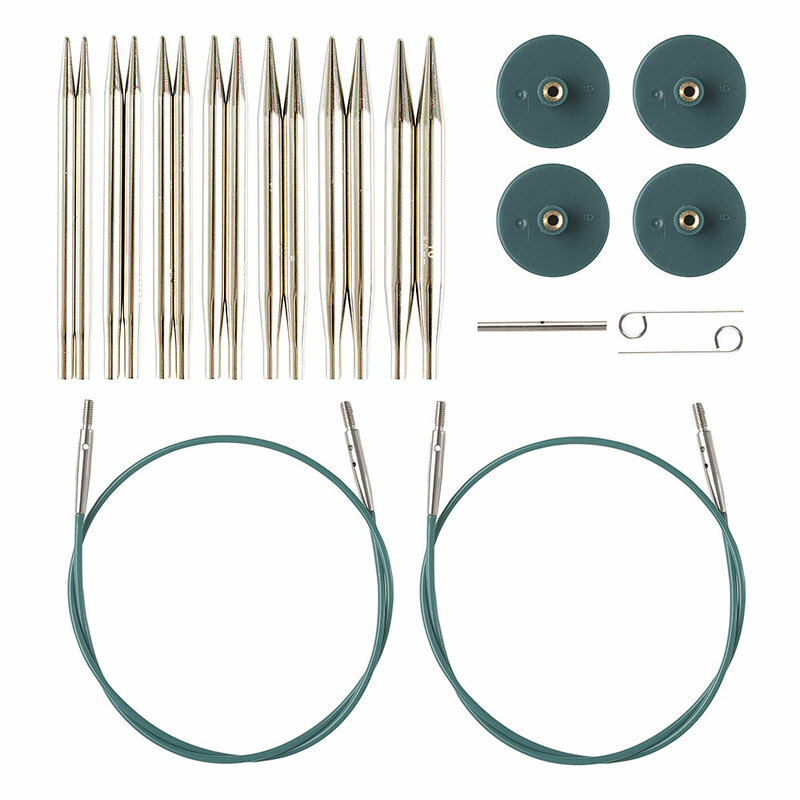 This set includes two cables - simply attach the needle tips to create a versatile 16" interchangeable circular needle perfect for hats, sleeves, and other, more compact projects. 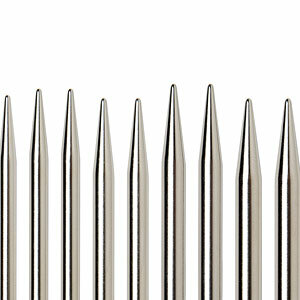 Tip sizes are US 4,5,6,7,8,9,and 10 (3.5mm,3.75mm,4mm,4.5mm,5mm,5.5mm,and 6mm), and each tip is 2.75" long. Wasn't sure how these would perform, but do not like dp. I love them. Very easy to knit in the round. Wish these were larger sizes available. The price is very good too for all the included sizes. 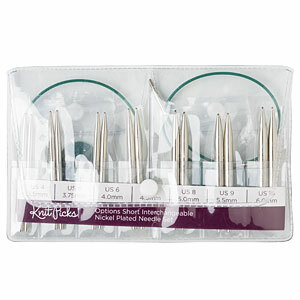 I purchased 2 Options Short Nickel Interchangeable Circular Knitting Needle Sets in October 2018. They are EXCELLENT! I’ve been relying on DPNs for making hats. The interchangeables have hugely increased my knitting speed when making hats for the 7 grandkids! I used Brava Worsted for the first hats I knitted with these needles. My hands fairly flew through the knitting!